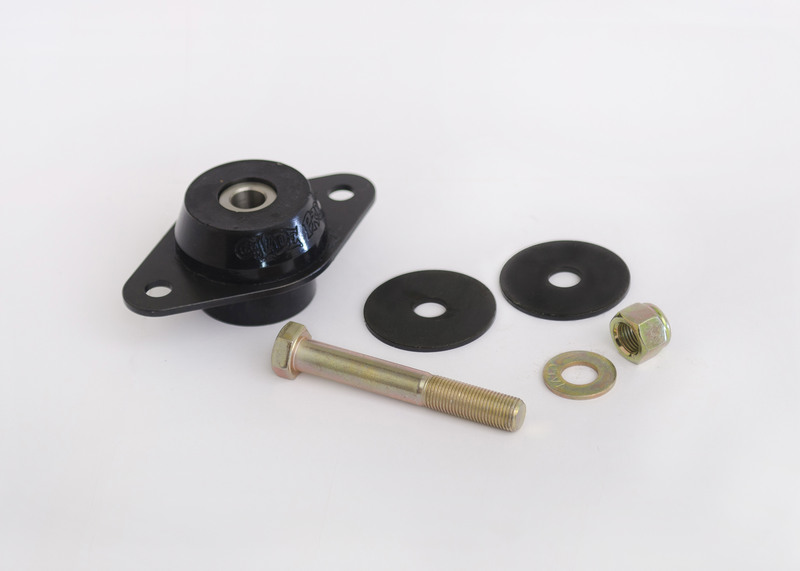 FM-4500 Dyna Front Motor Mount with attaching hardware. The FLH frame mounts have never been bonded in the frame. The Glide-Pro Dyna mount installs the same as the stock mount. The rubber and metal aren’t bonded like on the stock HD mount, explain the reason for that. We make different inserts with different compounds for the wide variety of motors out there and if the mount ever wears out or the customer builds up their motor they only need a new insert. Wish you had a video or install instructions on your web site for this mount. We’ll post the instructions soon.